Long congestion periods, frequent link failures and hand-offs in VANETs lead to more number of packets being dropped and incur high end to end delay, there by degrading the overall performance of the network. Congestion control mechanism, though mainly incorporated in transport protocols, if coupled with the routing protocols, can significantly improve overall performance of the network. 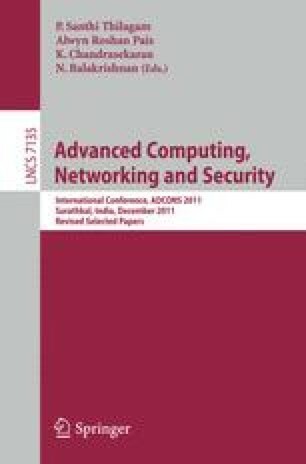 In this paper we propose Congestion Adaptive Multipath Routing Protocol (CAMP) that aims to avoid congestion by proactively sending congestion notification to the sender. The proposed CAMP routing protocol is implemented in Network Simulator-2 (NS-2) and its performance is compared with Ad-hoc On Demand Multipath Distance Vector (AOMDV) in terms of Packet Drop due to Congestion, Packet Delivery Fraction, Throughput and Average End-to-End Delay. Simulation results show that CAMP routing protocol achieves significant performance gain as compared to that of AOMDV.